Merrick Grain Free Real Duck and Sweet Potato Dog Food provides a nutritionally balanced meal made from real, local whole foods. This delicious dry dog food includes only quality ingredients and is grain-free to make sure that it is safe for your dog. The nutrients included in this formula work to both support a healthy skin and coat and maintain healthy muscle tissue. 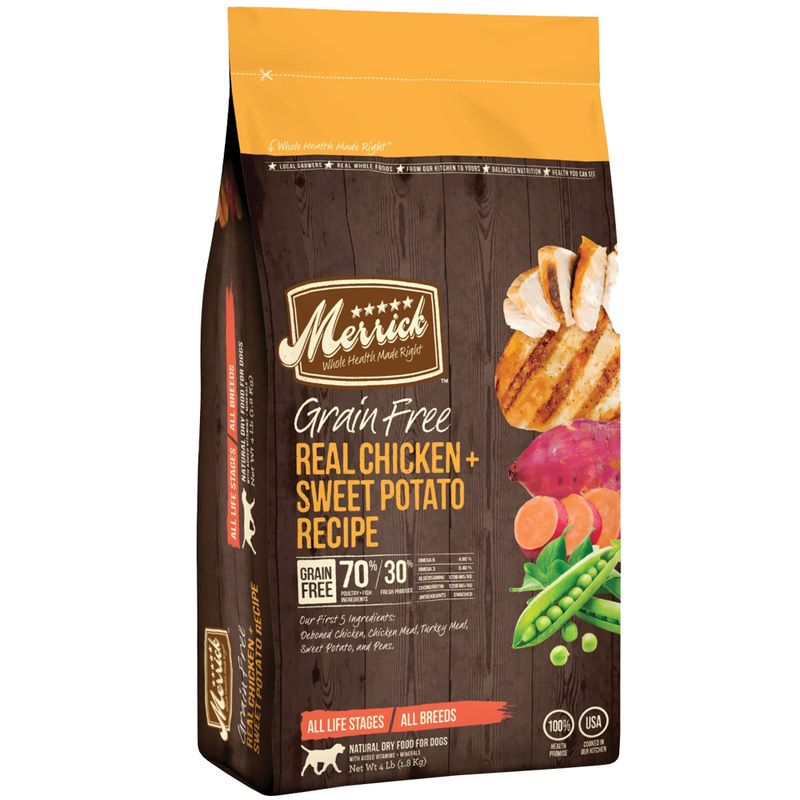 Merrick Grain Free Real Duck and Sweet Potato Dog Food Food includes high quality protein, glucosamine, and omega fatty acids. This 4-pound bag of food provides minerals, vitamins and antioxidants to aid with joint health and increase energy levels. Order your dog this nutritionally balanced dry food today! Looking at the chart below, divide the total cups per day by the total number of times you feed your dog per day to determine the portion size for each meal. Keep a clean bowl of fresh water available at all times. Every dog is a little different, so optimal feeding amounts may vary with age, size and activity level. 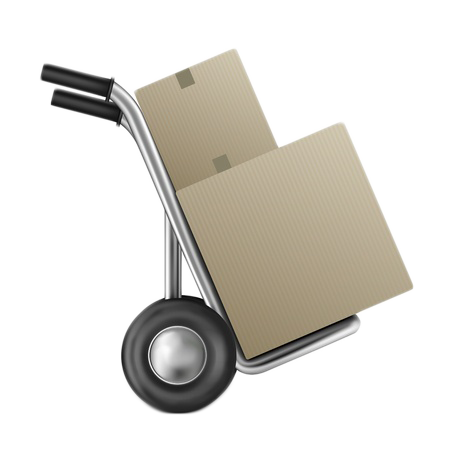 Please use the information below as an initial recommendation only and adjust when needed. Dry and wet food in combination will help to increase the level of water in your dog's diet. If feeding with wet foods, reduce dry amount by 1/2 cup for 6 oz. of wet food. 100+ lbs. Add ¼ cup per additional 10 lbs. For puppies and pregnant or nursing dogs: Feed 25% more than amounts listed.